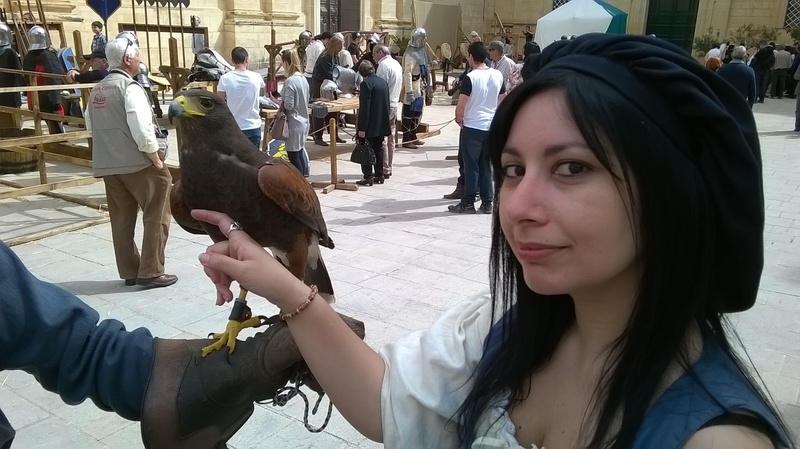 Medieval Mdina 2015 – Fun vs Stress! 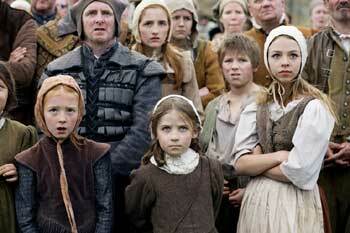 I have been taking part in Medieval re-enactment events for around five years now I think. Re-enactment is a lot of fun, but it is also a lot of work, since it entails research and dedication. 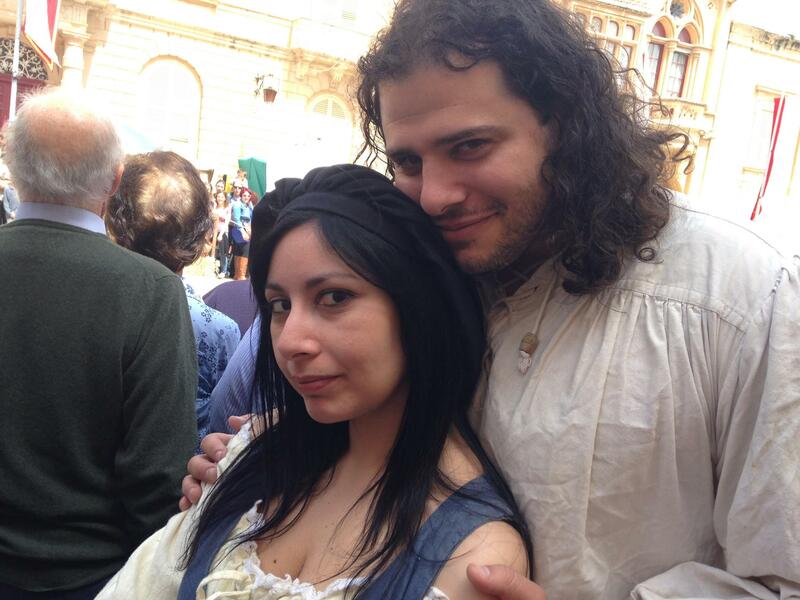 Schedules may create a huge problem when one is busy, as I am now (I am trying hard not to mention the reason for now, since some things are not certain yet), however I did my best to at least take part in the largest Medieval re-enactment event in Malta – that is, Medieval Mdina. Mdina is one of the oldest cities in Malta. It was our old capital city (before this became Valletta), and it is a real gem in that it is not only surrounded by almost intact original Medieval fortifications, but that even its streets, buildings and tiny churches retain their original Medieval structure. 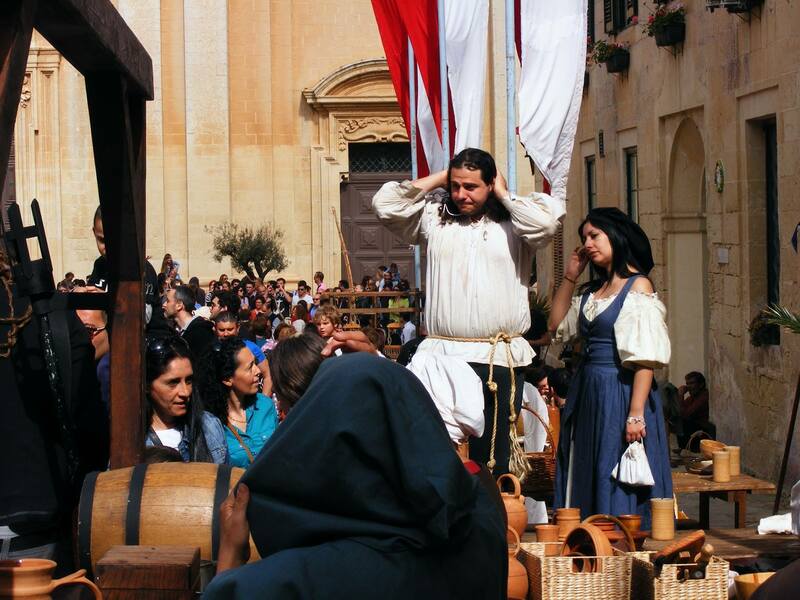 It is here that once each year, the Local Council, supported by other institutions, organizes the Medieval Mdina Festival, which consists mainly of Medieval re-enactments, that is, battles, skirmishes, mini-plays, etc, but also other things like children’s entertainment and a Maltese market. 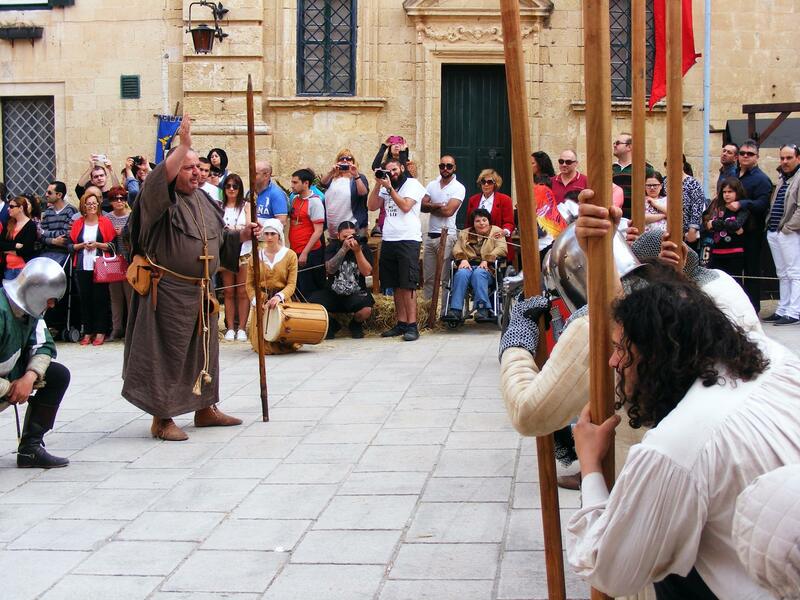 Last week I also wrote an article for the magazine EVE about it, which one can read here http://www.eve.com.mt/events/the-medieval-mdina-festival-2015/ The Festival spans two whole days – that is Saturday and Sunday. I was unable to participate on Saturday this year, however I did go for the full day on Sunday, and had a lot of fun too. I am a member of a Medieval re-enactment group called Anakron, and we had various settings, which were prepared by the group itself. These consisted of a tavern, a ‘healer’s’ section with all the instruments of the time, a forge, a weapons’ display and even a section with some penned animals! 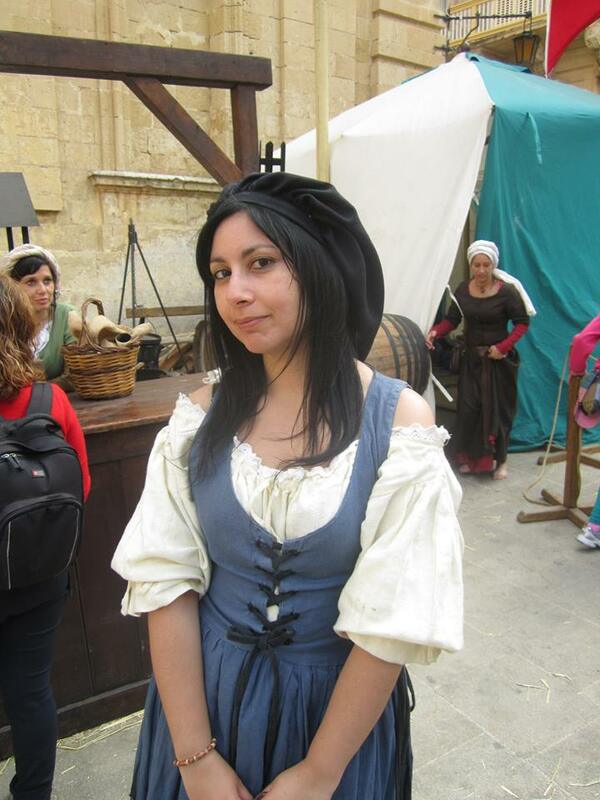 I was posted mainly at the Medieval tavern. My boyfriend is one of the warriors, and these were divided into two groups and had a ‘skirmish/play’ to perform twice a day. It was great fun, even though he got killed twice, and was accidentally wacked over the head with a lance (he has a bump the size of an egg now poor mite lol). Being a reenactor is pretty expensive, since all our clothes, underclothes, and props have to be bought by ourselves at specialized shops. This is also true for eating utensils (mostly made out of pottery or wood). We are a semi-professional group, and yet Anakron is pretty strict in that everything has to be done according to realism. 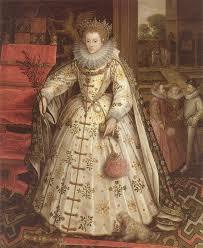 For example, garments at the time were mostly made out of cotton or wool, so no velvet, brocade, lace, satin, or other materials may be used. Certain colours like purple and red were reserved for the nobility, so since we mostly portray peasants, we cannot use those either. 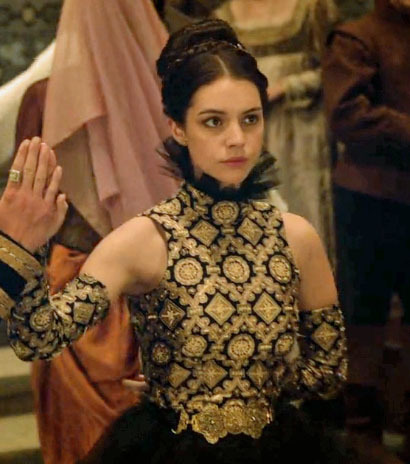 A far cry from T.V serieses like ‘Reign’ and ‘The Tudors’, who for someone like me, who is kind of wary of this kind of thing at this point, are a real eyesore, since they are not historically correct at all.